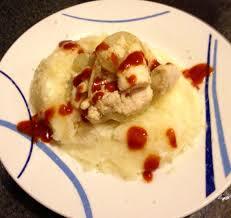 Yuca con Salsa de Guayaba (Yuca with Guava Salsa) - Tienditadepuertorico.com - Buy Puertorican Food Here!! Cut yucca in 1 inch wedges. Wrap each yucca wedge with a slice of bacon and hold together with a toothpick.